Normalizing Hijab in Western Culture- Is It Happening? | Between Sisters, SVP! DALLAS — The normalization of hijab by non-Muslim businesses started many years ago but it wasn’t until recently that I felt like it was inclusive. I mean a hijabi in these parts gets many side glances, puzzle looks, some commendable friendly smiles every now and then, and also many stern to blank looks. What can you do? It’s a jihad. But walking my son to the mall playground and seeing a young African American teenage girl displayed in front of Justice; a popular department store for tween girls made my day. Wishful thinking! But that’s not all. Not too long ago, during our same homeschooling routine, we stopped at the mall playground again so my son can play outside and interact with children his age. You won’t believe it! 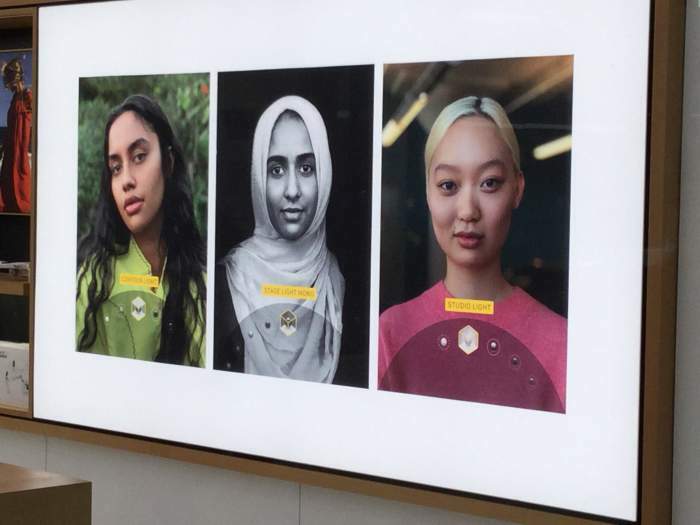 I saw another inclusive ad at the Apple store. I stopped in my tracks, amazed, shocked, and highly phased all at once. I didn’t snap a picture of it right away like I did with the previous one but I eventually went back to the mall specifically to snap a picture of it so that I could feel complete about chronicling this single event. I feel much better that I have curated these instances where diverse and minority hijabis made highlights locally. So, as the country or world is polarized about women who wear hijab and even speculates on their freedom and intelligence, isolated events like these give me hope that our voice is being heard. They have finally started to unveil the truth about us; we are above all human with diverse needs, passions, and goals. Whether or not, it’s being commercialized or opinions are being made about us, it doesn’t matter. What matters is that we’re moving forward and making ground breaking changes day by day. Jamilah Thompkins-Bigelow is a children’s book author of Mommy’s Khimar. When asked how she felt about the normalization of hijab as seen lately, she said, “I think it’s incredibly important for Muslim children to see themselves in mainstream places—in books, movies, and other media—and that they should see themselves just being who they are. Too often, people write about Muslims (hijab, especially) in polarizing ways. This can make a child feel like who they are, is wrong in some way—that their very existence is contentious. In Newbery Medalist Matt de la Peña’s new picture book, LOVE, he includes a girl wearing hijab who is exploring the concept of love just as other diverse characters in the book do. Such simple depictions send a powerful message to all children: we are all included, we all have a place here, and there is no contention in that. Bengladeshi-American Author, Rumki Chowdhury, also relates to us her experience. “A large billboard image advertised a female model in black attire and a black hijab, in the heart of Stockholm, outside of Sweden´s biggest department store called, Åhlens! That is what I saw as I went down the street of the busiest shopping street of Stockholm City in 2016. As of 2018, the Muslim population in Sweden is gradually growing, but only recently have I discovered an increase in the tolerance of the hijabi. 2016 also meant the year that the theatrical play in which five Muslim hijabis shared their biographies of their brush with prejudice, center-stage, all over Sweden and at the most popular Swedish theater, Dramaten, Stockholm! I went to watch this play and met the inspiring actresses. Critical acclaim for “Swedish Hijabis” splattered the pages of local and national newspapers, news stations and radio stations. And then there was I, who had been working in a Muslim school for two years before transferring over to teach at an International English School, wondering if the possibility was even there for a hijabi. So, I told myself, the same thing that I said in one of my Hijab Diary videos on YouTube; I reminded myself that perhaps, the interviewer sitting across from me is most likely feeling the exact same way as I am…tentative for many reasons. I wondered if my hijab was normal enough, I wondered if the “normalization” of the hijab was present enough and… it was! “Philadelphia in Pennsylvania is commonly called the Mecca of the West. Every year, Muslims migrate to Philadelphia to be a part of the city’s Muslim community. It is not abnormal to see women wearing hijabworking in a hospital on various levels or inside of a bank on equal levels. When there is hijab prejudice in Philadelphia, it is covert like something that can be misconstrued as something else like a simple “misunderstanding”. Abdul-Haqq goes on and adds more jarring details. 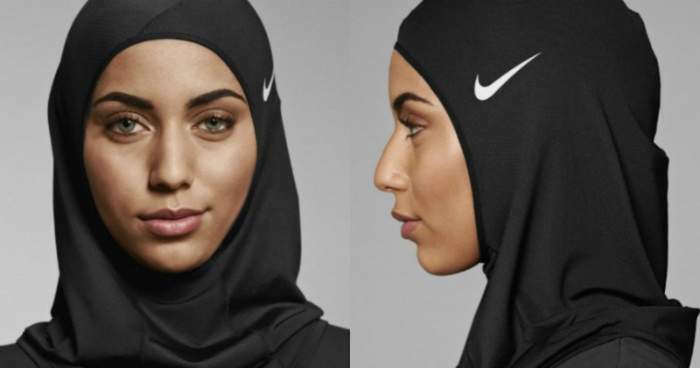 “As of recent, Nike has released its burkini and American Eagle has released its cotton jean hijab, and the internet went crazy. Islam is going mainstream were the sentiments, and for a moment I bought it. 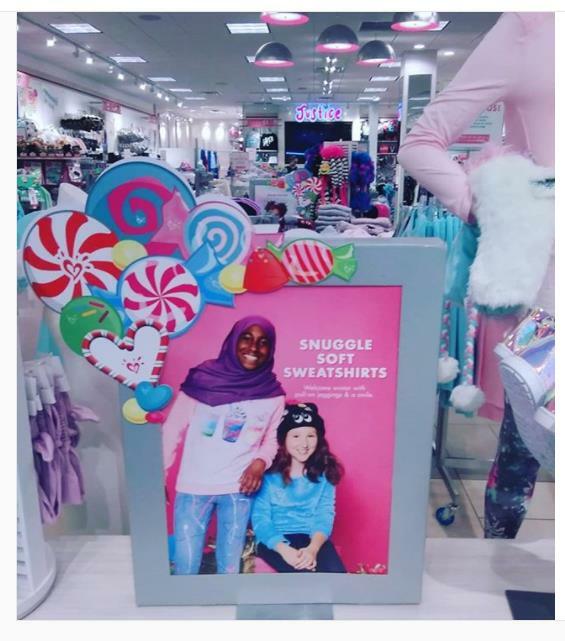 I thought maybe it was close to the day where my daughters could purchase Muslim permissible clothing at their favorite’s department stores without gluing together a hodgepodge of clothing to don their perfect style; that maybe America finally sees the American hijab-wearing Muslim as part of the fabric instead of aliens. Bio : Papatia Feauxzar is an American author, publisher, and barista of West African descent living in Dallas, Texas with her son and husband. She holds a master’s degree in Accounting with a concentration in Personal Finance. After working as an accountant for a corporate firm for almost five years, Feauxzar decided to pursue Accounting from home while homeschooling her son. You can visit her websites www.djarabikitabs.com and www.fofkys.com . This article originally appeared at About Islam here. This entry was posted in AboutIslam, women and tagged Hijab, Jamilah Thompkins-Bigelow, Khadijah Abdul-Haqq, Mommy's Khimar, Muslim women, Nanni's Hijab, Rumki Chowdhury, Unveiled, US Muslim Women, Women in islam, Women's Rights. Bookmark the permalink. 4 Responses to Normalizing Hijab in Western Culture- Is It Happening? I used to go to school at Cleveland State University, and I saw quite a few women wearing hijabs there – even some who were fully covered. That was just normal there; no one batted an eye. Of course that was an urban, multicultural campus, and so probably isn’t representative of most places in the US. I also haven’t been back there since the rise of the Orange Reich, so it might be completely different now. Yea, it varies indeed. Thanks for sharing!